What does a man born into extreme wealth and privilege and a golden political pedigree have in common with a single mom from Montana who is struggling to get by? More than you would think. The man: Robert F. Kennedy Jr. The mom: me. 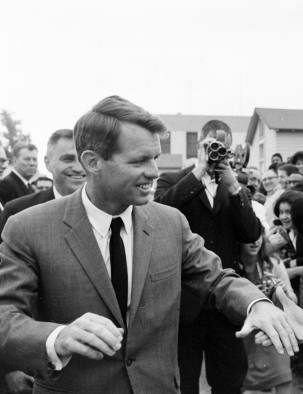 And as we reflect on the 50th anniversary of his assassination, we remember Senator Kennedy’s legacy. His surname already burnished in the history books by his father and brother, Sen. Kennedy’s legacy – for me – goes far beyond his turn as attorney general or senator from New York, but rather in his compassion and empathy for people like me. While Sen. Kennedy never personally experienced poverty, he understood pain. He understood what young, single moms like me go through to provide for their families because he put his ear close and paid attention to what he was told. It wasn’t enough to read about it in the papers or hear about poverty second, third or fourth hand. He showed up. And he understood that change happens when we hear the voices of those most affected. Today that lesson is no less salient. If we want policymakers to understand what it takes to make sure everyone – regardless of our geography, color of our skin or immigrant roots – has a real shot at a future in our country, we need them to hear our stories. Here’s my story – and I know it’s not unique to me. A few years ago, my youngest daughter was barely one, and my oldest was about to turn eight. We lived in a 600-square-foot apartment by way of the local housing authority’s Low-Income Housing Tax Credit program. Since graduating college with a bachelor’s degree in English a year before, I’d scrambled to make money as a freelance writer by editing community calendars, writing pieces for little to no pay, and even writing “sample” essays for college students for $10 a page. There were days when I was disoriented with hunger, the kind that makes you so dizzy you feel like you might fall over at work – if you’re lucky enough to have sufficient child care and transportation to make it there. We were struggling, still relying on Medicaid, food stamps, and whatever resources I could find. Without these programs, I don’t think we would have made it. I was literally writing to survive. To pay the bills, yes, but also because it was an outlet for my fear and loneliness. I wanted to share my story so that other people who were in a similar position wouldn’t feel so isolated. For some politicians today who are telling people like me to work harder if we want to provide for our kids, I want them to listen deeply to me – and the millions of people like me – when we tell them how hard you can work and still not make ends meet. I wanted to share my story in the hopes that politicians will follow the example of Sen. Kennedy by hearing me and understanding their responsibility as elected officials to support policies that give working families a chance to thrive. But I’ve been lucky. My writing wasn’t just an outlet; now it’s helping me build a better future for my family. When I wrote a story about working as a maid for almost nothing so I could provide for my child, the response was incredible. People across the country recognized their own experiences in mine, and thanked me for giving voice to our collective struggle. That’s when I started to see the connection between me and the young, wealthy, charismatic senator from New York. Because of the incredible response to that article, I was able to start writing full time through a fellowship with the Center for Community Change (CCC). CCC – one of the most effective grassroots organizations in the country – was founded 50 years ago to protect and advance Sen. Kennedy’s legacy to fight for people of every race and every background who are living in poverty. Fifty years ago, we lost a champion for our communities. Fifty years ago, a movement was born to carry on his legacy and right the wrongs that keep so many families from achieving the American dream. And fifty years later, it’s more important than ever that we raise our voices, share our stories and mobilize our communities for change. Stephanie is a communications fellow for the Center for Community Change. As a single mom, she has worked as a house cleaner and landscaper to make ends meet and now works as a freelance writer whose work has been featured on The New York Times, Washington Post, The Guardian, Vox and Salon, among others. She is the author of the forthcoming memoir MAID.